Long before the paparazzi flocked to Hollywood restaurants to snap pics of celebs eating omelets, the Polo Lounge served as the gathering place for movie stars and L.A.’s elite. Thankfully, the venue still retains its old-school charm, and Johnny Depp and Al Pacino are known to dine here frequently. 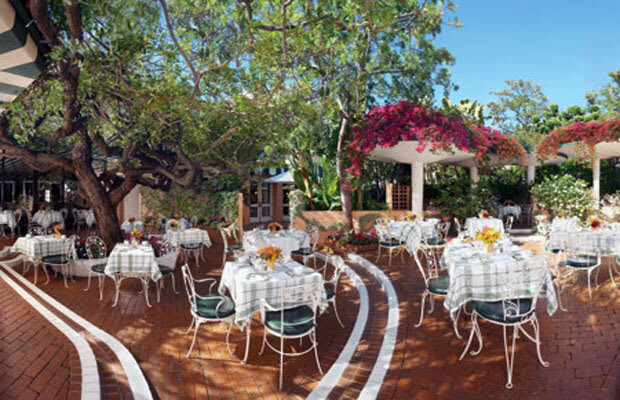 While many of the bars on our list are late night haunts, we highly recommend making a patio brunch reservation. People-watching is half the fun, but your insanely delicious cuisine will keep you fully satisfied. Try the Garden’s Gimlet and let the pianist soundtrack your breakfast.